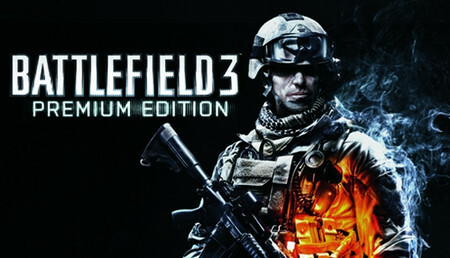 Mehr Spielspaß mit der Battlefield 3 Premium Edition. Das ultimative Battlefield 3-Spielerlebnis für jeden – vom Erstspieler bis hin zum erfahrenen Battlefield-Veteranen. Die Battlefield 3 Premium Edition enthält alle fahrbaren Fahrzeuge, die Zerstörung und das Teamplay von Battlefield 3 plus Battlefield 3 Premium-Mitgliedschaft mit allen fünf Battlefield 3-Erweiterungen und dem Multiplayer-Headstart-Kit, mit dem du für Ausgleich auf dem Multiplayer-Schlachtfeld sorgen kannst. Hat mit Paypal genau 1:30 Minuten gedauert, Top! Everything works! Instant delivery and very cheap. Perfect! Der Key war sofort da und er hat wie immer funktioniert. Vor 5 Sekunden gekauft und schon in Origin aktiviert. Das Spiel macht einfach Laune. Wobei man als Anfänger echt viel Spielen muss, um ein paar Chancen zu haben. Wenn man allerdings, schon Erfahrung gesammelt hat bei älteren Battlefields, kommt man sehr schnell in die Spielmechanik rein. Die Battlefield Premium Edition zu kaufen, war meiner Meinung nach eine sehr gute Entscheidung. Die Maps sind einfach richtig geil und auch die Waffen die man mit der Premium Edition freischalten kann. Klare Kaufempfehlung!!! Un DLC che aggiunge funzioni (poche a dir la verità) e diverse mappe molto più grandi di quelle del gioco base. Oltre alle mappe vi sono anche alcune armi. Aggiunta la possibilità di saltare la coda nelle attese per i server. Non è un gioco, è la storia, come si può definire sto gioco se non così? Quando usci ero estasiato lo provavo dagli amici ed erano ore su ore che passano come il vento con gli amici, qualcosa di divertente c'era sempre. Veloce, senza troppi fronzoli...e FUNZIONA!! Se posso consigliare, nella sezione pagamenti, il pagamento con PayPal l'ho trovato un pò....dispersivo, cioè, ti chiede il codice conferma al telefono, poi ti chiede la pasw e poi confermare l'acquisto...non si può velocizzare? 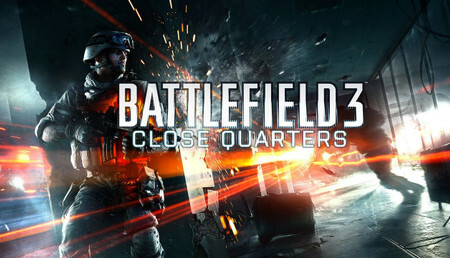 Amazing DLC for Battlefield 3, the game is a classic, and with premium the game is even more fun. It is worth getting if you don't mind spending a little more for premium. I reccommend this for people that have the game and are looking for a more fun experience. Ce jeu est juste génial ! Il ne vaut quasi plus rien, alors n'hésitez pas, en + entre amis c'est encore + fun et franchement même la campagne est parfaite ! Il reste pour moi le meilleur BF devant bf1 et tout les autres ! 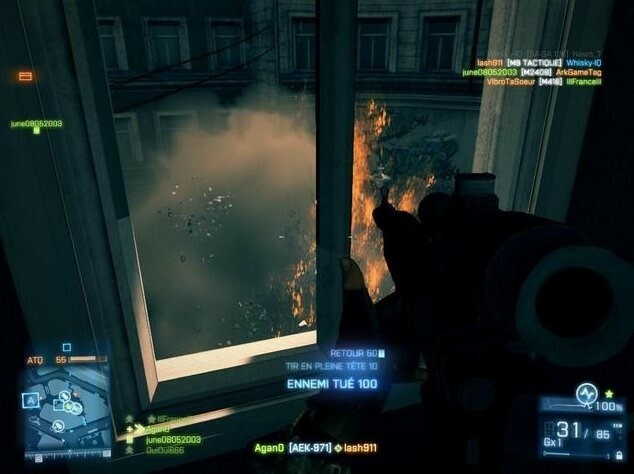 Battlefield 3 est de loin le jeux le plus réussie depuis le début de la série de EA Games. Personnellement, je n'ai rien a dire de mal à propos du jeux, mise à part le fait qu'il est le plus haut taux de tricheurs bannis. Fairly complete game as a shooter / war simulator. Initially it might be a bit chaotic, but with a little 'practice everything becomes clearer and have the full DLC the game package. Gioco abbastanza completo come sparattutto/simulatore di guerra. Inizialmente potrebbe essere un po caotico, ma con un po' di pratica tutto diventa più chiaro e avere i DLC completa il pacchetto del gioco. El mejor de la saga hasta el moemto,. Battlefield 1 lo va a tener muy dificil. Si buscas simulacion y accion es tu juego. Si buscas solo accion vete a un COD. Despues del Arma es un muy buen simulador de combate. Sin amigos pierde, un poco. Excelente Game! :D seguidor de Battlefield and COD. Que decir añade el pack completo de extensiones y ademas mil posibilidades en el battle net, como guardar favoritos nuevas chapas etc, a este precio excelente!! Grande! 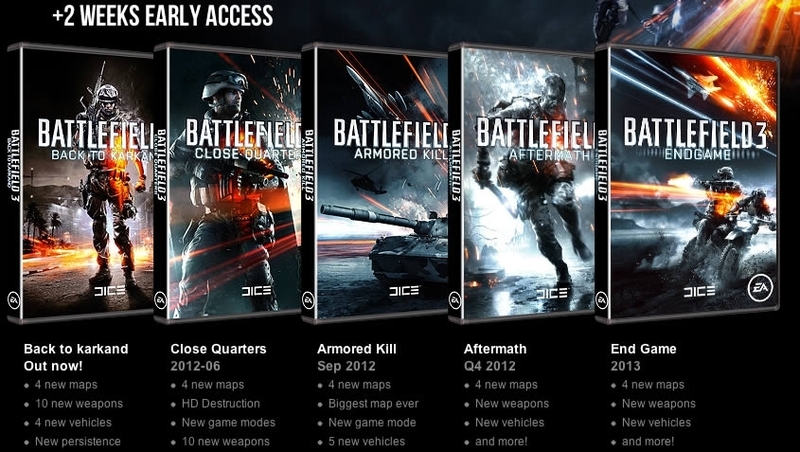 la coleccion de dlcs, uno de los mejores juegos de guerra de la generacion de PS3, en PC por su puesto, Battlefield siempre es mejor. Close Quarters es un CBQ de la hostia, con destruccion casi total del escenario, y los demas no los comento que si no no me cabe. Los demas son iguales de potentes. 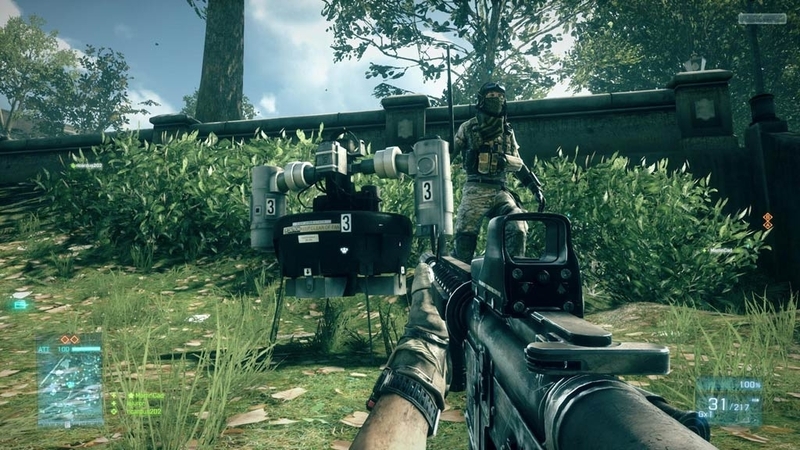 Avion trop " cheaté "
Expanding the Battlefield 3 DLC expansion for several steps has raised expectations multiplayer FPS audience. 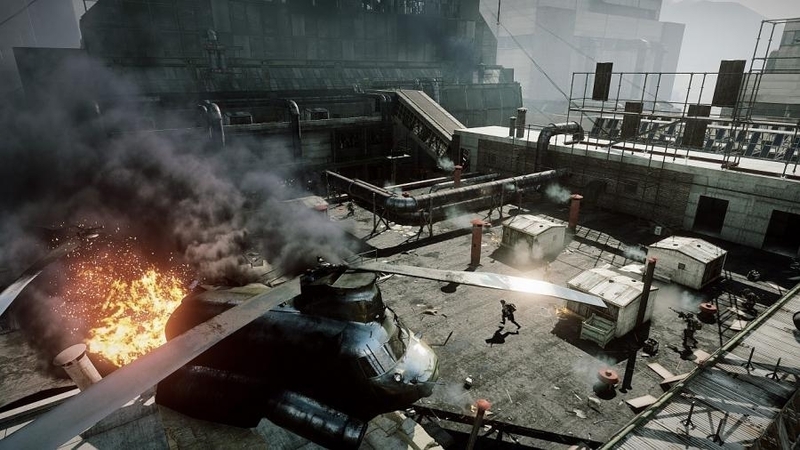 Armored Kill maps are designed as an arena for fighting vehicles and aviation. Aftermath offers a mix of rubble, demolished buildings and maze of streets and alleys created for ambushes and circumvention.Such a game with all the extras you just can not find. Pues como hace tiempo Origin dio gratis el BF3 se complementa comprando el Premium, en el que tienes acceso a muchos mas modos de juegos y mapas. Aunque sea un juego del 2011-2012 se sigue disfrutando. increible historia! sin duda comprare el 4 cuando me pase el 3, lo que jugandolo no entiendo porque no se hace tan buena publicidad de este juego y del 4 como call of duty hace con sus juegos ya que jugandolo ahora con mis amigos estamos en partidas juntos aparecemos al lado de cada uno con el botos de entrar en la batalla y ami me parece muy bueno ya que puedes ayudarlo siendo medico etc, muy buen juego sin duda. Efectos de sonido increibles!! de peliculas! The pack contains ALL dlc and some premium challenges that earn you useless(and rather fun to use :P) guns like the famas-there are expansions for everyone, from the vehicle fanatic to the run and gun noshar canal 24/7 player. 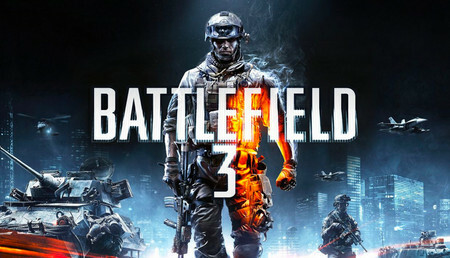 Best game in the Battlefield series, go on and buy it already! Sin ninguna duda recomiendo este pedazo de shooter que a dia de hoy me parece incluso más entrenido que BF4, desde que comencé a jugarlo en sus inicios y jugar en clanes serios no a conseguido ningun otro shooter encantarme tanto como este, ya lo tenia en ps3 con el premium y me faltaba en pc asi que sin ninguna duda es una buena compra. you guys charged me twice! thats it !thats it !thats it !thats it !thats it !thats it !thats it !thats it !thats it !thats it !thats it !thats it !thats it !thats it !thats it !thats it !thats it !thats it !thats it !thats it !thats it !thats it !thats it !thats it !thats it !thats it !thats it !thats it !thats it !thats it !thats it !thats it !thats it !thats it !thats it !thats it !thats it !thats it !thats it !thats it !thats it !thats it !thats it !thats it !thats it !thats it !thats it ! Animation de kill au couteau ne veut pas se lancer certaine fois ce qui fait que le cible nous tue. Trés bon jeux qui sucédent parfaitement a Battlefield 2 . Même en 2015 ce jeux et encore éblouissant niveau graphique / gameplay & prise en main . Seul point négatif Punkbuster & le passage du jeux par un navigateur internet . Punlbuster et passge du jeux par le navigateur Internet . additional guns, additional game modes and additional maps, why not! though sadly, the game support is discontinued, which means no further patches for it. there are still some annoyances with soldier movement, reload animations, but in the long run, still very playable and fun game. Parfait le premium, pleins d'avantage ! Les nouvelles armes et les cartes supplémentaires sont super ainsi que la possibilité de remettre à zéro son ratio etc ... Ca vaut vraiment le coup de l'acheter. Fast deliv, thought it was BF4 Premium and opened an embarrassing ticket with EA. Instant gaming didn't ask me for ID but they do ask for ID sometimes. Their ticket system seems flawed and slow. They don't seem to want money. I had Battlefield 3 purchased some months ago and i play this game everyday but after many of hours i wanted more maps and guns! I wanted more action! When i saw the price in this site and all the privileges premium has to offer i instantly bought it. The premium package is so worth it cause of the DLCs, specific guns and double XP weekends,perks, maps and many assignments to unlock. Most of weapons has its own assignments, giving you the option of more customization and more dog tags. 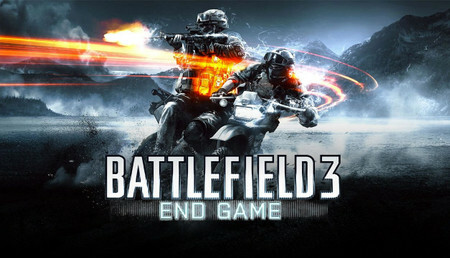 The DLC maps are so good adding more gameplay and especially the End Game DLC is something really new to Battlefield 3. Each DLC has a 4 set map so you got 4x5=20 new maps!!! And ofcourse you cant get all 119 weapons and all gadgets too!! I like fps multiplayer games a lot and BattlefieldF 3 is an awesome game delivering a strong war atmosphere and lots of hours of gameplay. The graphics are impressive and the sounds of the weapons and explosions so realistic. The servers are no problem to this game they are so many with very low ping and most of them always full so you will not feel playing alone. I strongly recommend this game to any gamer out there feeling ready for battle and fun! The prices in this site are very good and i really like to see that they are thinking about the gamers here. Le premium, en dehors des maps et des missions pour avoir des armes, rajoute également des doubles XP quelques fois, une reset de vos stats et un icone premium sur votre profil. Je n'ai vraiment pas hésiter à l'acheter dès que j'ai reçu mon argent, et je suis réellement fier de mon achat ! Et, en dernière chose, j'aimerai préciser que je level design (Beauté de la map, mise en place des routes, maisons) est vraiment bien réaliser et même mieux que sur les maps de base de Battlefield 3! Je suis fier de mon achat et je vous le conseille fortement ! Que mas decir sobre el premium de este juego, sobre todo yo destacaría que es un complemento que nada mas salir tenia un costo alto pero totalmente recomendable a pesar del precio. Es mejor comprar el premium que todos los DLCs aparte porque aparte de que el premium te da un dia de antelación a la hora de entregarte el DLC también te da accesorios unicos que posiblemente echarías de menos en tu videojuego. En conclusion, este videojuego a parte de ser el mejor de su saga este complemento lo convierte en una de las principales opciones de compra para los fanaticos de los shooters. La nota de historia la doy baja porque aparte de que el propio videojuego tiene una historia un poco mala esta reseña compromete mas al accesorio que al propio videojuego. Muchas gracias por leer mi opinion. Aprés plus de 200 heures de jeu sur Battlefield 3 et possédant le premium je pense que je suis en possibilité de faire ce faire ce review. Je n'ai absolument pas accroché a la campagne du jeu d’ailleurs je ne l'ai absolument pas compris. Les graphismes de la campagnes sont assez basiques. Le gameplay de la campagne est assez limité. Bref je n'ai pas aimé la campagne. Heureusement, que l'on puisse faire de la coopération a 2 joueurs dommage que cela soit pas plus, grâce a cette dernière on peut débloquer 7 armes pour le multijoueur. La coop se passe sur 6 missions de la campagne solo. Ah! enfin le multijoueur, que dire génial à condition d’être premium sinon c'est l'enfer. Pour moi les meilleurs cartes de match a mort c'est canaux de Noshahr et tour Ziba, le gameplay est génial surtout en combat rapproché comme sur les cartes citées plus haut. J'ai acheter le premium car je m'ennuyer sur les cartes incluses dans le jeu et que j'avais envie de découvrir plus de véhicules, d'armes, et de gameplay. J'adore notamment la carte de desert de Bandar une des plus grandes cartes du jeu. Le premium c'est surtout pour les cartes car il n'y a plus d'événement XP et d'avantage. Suite aux centaines d'heures passées sur les différents opus de la série Battlefield, je pense pouvoir dire qu'il s'agit bien du meilleur de tous. 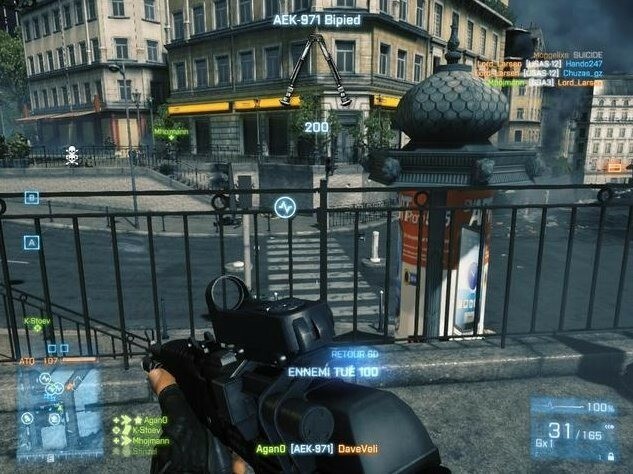 Battlefield 3 est une vraie référence en matière de FPS et le premium en rajoute. Plus qu'un simple DLC, le pack premium permet une plus grande immersion dans le jeu avec de nouvelles armes extrèmement intéressantes qui permettent une nouvelle approche du champ de bataille, de nouveaux gadgets et seize nouvelles cartes toutes plus variées les unes que les autres: vous aimez les grands espaces, les combats à longues distances et les gros calibres ? 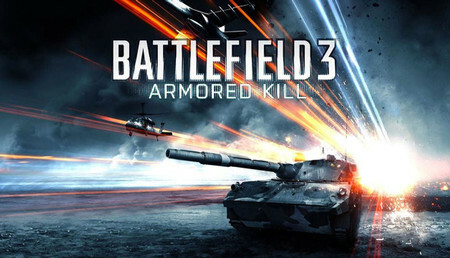 Eh bien les cartes d'Armored Kill sont parfaites avec, entre autre, Desert de Bandar qui est la plus grande carte de la série Battlefield à ce jour ! Ou alors préférez-vous les combats très rapprochés et survoltés; dans ce cas vous pourrez jouer à Close Quarter avec des combats en intérieur. 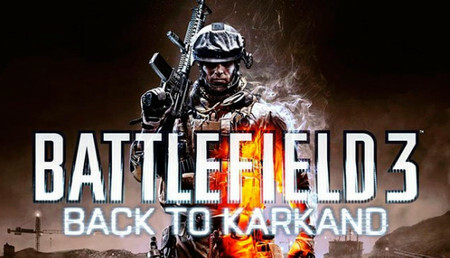 Le DLC Back to Karkand permet quant à lui de revisiter les quatres cartes emblématiques de BF2 (Golf d'Oman, Frappe à karkand, Péninsule de Sharqui et Île Wake). Je vous laisse découvrir les huit autres. De plus, le pack premium apporte de nouveaux modes de jeu très intéressant et diversifiés qui permettent de changer des traditionnelles conquêtes et ruées. Ces nouveaux modes font découvrir une nouvelle façon de jouer et de voir le jeu. Chaque DLC apportent aussi sa dose de nouvelles missions qui permettent, non seulement de débloquer de nouvelles armes et équipements, mais aussi de se donner de petits défis bien sympatiques pour ne pas s'ennuyer même lorsque l'on a passé tous les niveaux. Comme dit précédement, les DLC donnent accés à de nouvelles armes et gadgets. Ces armes ont toutes des statistiques bien distinctes et se jouent toutes différement ce qui demande parfois quelques heures pour réussir à les maitriser. Heureusement, elles sont toutes bien équilibrées et ne donnent pas un avantage considérable aux joueurs premiums: elles sont juste là pour diversifier le gameplay. En conclusion, je dirais que le pack premium est vraiment utile pour un joueur régulier de Battlefield 3 qui cherche à mettre un peu de piment dans ses parties sans avoir à se ruiner. La guerre Call Of/Battlefield. L'an passé (2013), call of s'est complètement planté en sortant la grosse bouse qu'était CoD Ghosts, et l'ennui c'est que Battlefield n'en a pas profité pour creuser l'écart. Dommage car cette année, je pense qu'un fossé va se creuser entre CoD Advanced Warfare et BF Hardline. Parce que graphiquement, on est pas next gen non plus. Même si ce n'est pas dégueulasse à l'oeil nu, on sent que ça pourrait être plus poussé pour la nouvelle génération qui est arrivée en fin d'année 2013. Cependant, le gameplay est une tuerie et la ou l'on ne regrette pas un call of, c'est la possibilité de jouer sur une map à 64 joueurs. Un gros gros plus pour BF. L'histoire est moyenne, je n'ai aps du tout accroché à la campagne solo, et j'y ai que très peu joué. 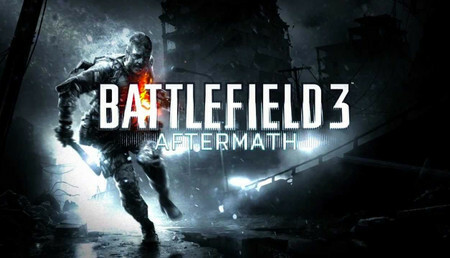 Au final, Battlefield 3 reste un bon jeu, mais Call Of reste encore devant, surtout après la tuerie d'Advanced Warfare.